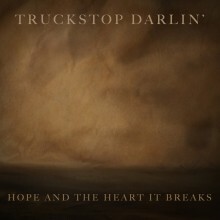 To celebrate the start of Truckstop Darlin’s spring tour that kicked off today, here’s a video from Portland’s Rose City Rebel TV where the band describes their music and online beginning. Bear in mind the band’s lineup has changed a bit since their start but the spirit and music are still the same as when they started out. Tour dates for the band’s spring tour follow the video. Check them out if you can.